Night blindness is difficulty seeing in the dark or in low light. One of the most common issues with night blindness is difficulty driving in the evening or at night. Not getting adequate amounts of vitamin A, which come from green leafy vegetables, eggs, and whole milk products. Vitamin A deficiency is rare in the United States, but still occurs in certain less developed countries. Symptoms are difficulty or inability to see in low light or darkness, even with glasses or contact lenses. While driving, this may also occur a few seconds after the bright headlights of an oncoming car have passed. You will be asked about your symptoms and medical history. A complete eye exam will be done. A blood test can be used to test the amount of vitamin A in your blood. Night blindness may require taking extra safety precautions when necessary. This may mean avoiding driving in the evening or at night. Glaucoma and driving. 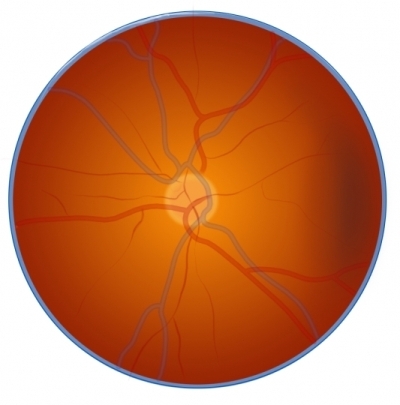 Glaucoma Research Foundation website. Available at: http://www.glaucoma.org/treatment/glaucoma-and-driving.php. Updated April 1, 2013. Accessed December 15, 2017. Night blindness. Cleveland Clinic website. Available at: http://my.clevelandclinic.org/services/cole-eye/diseases-conditions/hic-night-blindness. Updated March 18, 2015. Accessed December 15, 2017. Night Blindness, Congenital Stationary. The University of Arizona Health Sciences website. Available at: http://disorders.eyes.arizona.edu/disorders/night-blindness-congenital-stationary-csnb1h. Accessed December 15, 2017. Posterior uveitis. EBSCO DynaMed Plus website. Available at: https://www.dynamed.com/topics/dmp~AN~T326288/Posterior-uveitis . Updated October 11, 2017. Accessed December 15, 2017. Primary open-angle glaucoma. EBSCO DynaMed Plus website. Available at: https://www.dynamed.com/topics/dmp~AN~T114157 . Updated November 22, 2017. Accessed December 15, 2017. Retinitis pigmentosa. EBSCO DynaMed Plus website. Available at: https://www.dynamed.com/topics/dmp~AN~T116916/Retinitis-pigmentosa . Updated August 2, 2017. Accessed December 15, 2017. Shedding Light on Night Blindness. American Academy of Ophthalmology Eye Smart website. Available at: https://www.aao.org/eye-health/news/shedding-light-on-night-blindness. Updated September 6, 2016. Accessed December 15, 2017. Vitamin A deficiency. EBSCO DynaMed Plus website. Available at: https://www.dynamed.com/topics/dmp~AN~T116916/Retinitis-pigmentosa . Updated February 16, 2017. Accessed December 15, 2017.